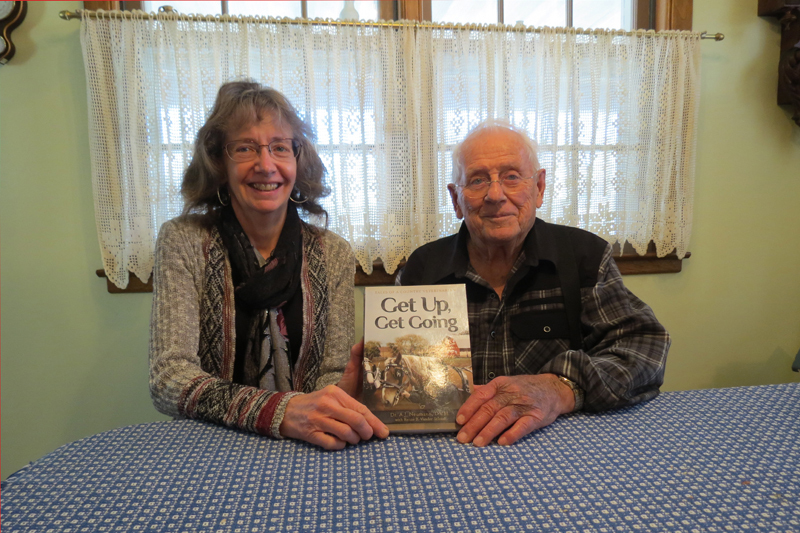 The authors pose with a copy of Get Up, Get Going at the place it all began—Dr. Neumann’s kitchen table. Get Up, Get Going: Tales of a Country Veterinarian by Dr. A.J. Neumann, D.V.M., and Renae B. Vander Schaaf is a treasure almost 93 years in the making. For years, Vander Schaaf—an independent writer, columnist, and published author from Alton, Iowa—heard stories about the local veterinarian and famed draft horse expert. In 2016, Vander Schaaf finally met Dr. Neumann in person over coffee and agreed to start writing down his story. Over the next year, they spent hours at a time sitting at Dr. Neumann’s kitchen table, talking about his childhood escapades, his most memorable cases, how he met his wife, Mary Virginia, and much more. He told stories while she typed, and soon they had a full-fledged book on their hands. They both knew they wanted to publish Get Up, Get Going, but the question was how. Then in December 2017, Vander Schaaf learned of the Write Place Book Contest—a biannual competition that provides aspiring authors a chance to win free publication. She decided to enter Get Up, Get Going … just before the contest deadline and without telling Dr. Neumann. When the book won, it came as a wonderful surprise to both authors. 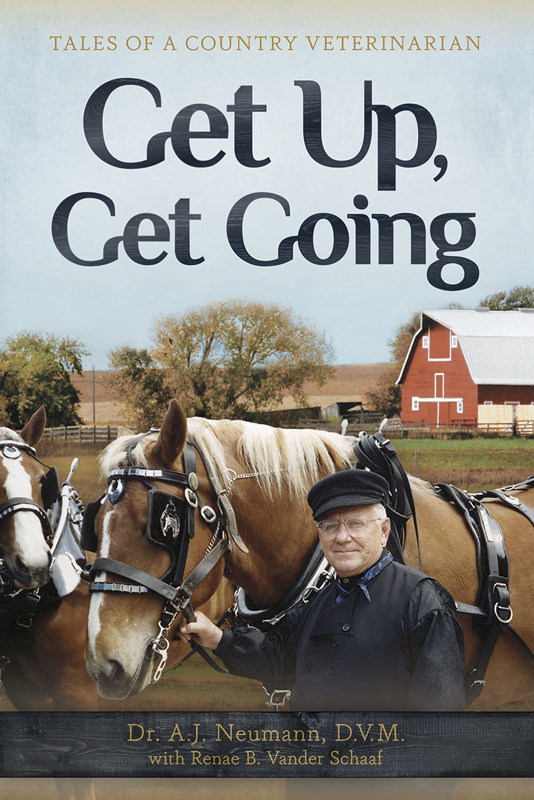 Get Up, Get Going is available for purchase online at Amazon and BarnesandNoble.com. An e-book version will be available soon.